Decolonization, education, fire, history, narrative, land, water. What Is Cultural Fire? What Is It For? Cultural fire is one form of prescribed fire, “the knowledgeable and skillful application of a planned ignition in specific environmental conditions (e.g., fuel moisture, temperature, smoke dispersion, topography etc.) 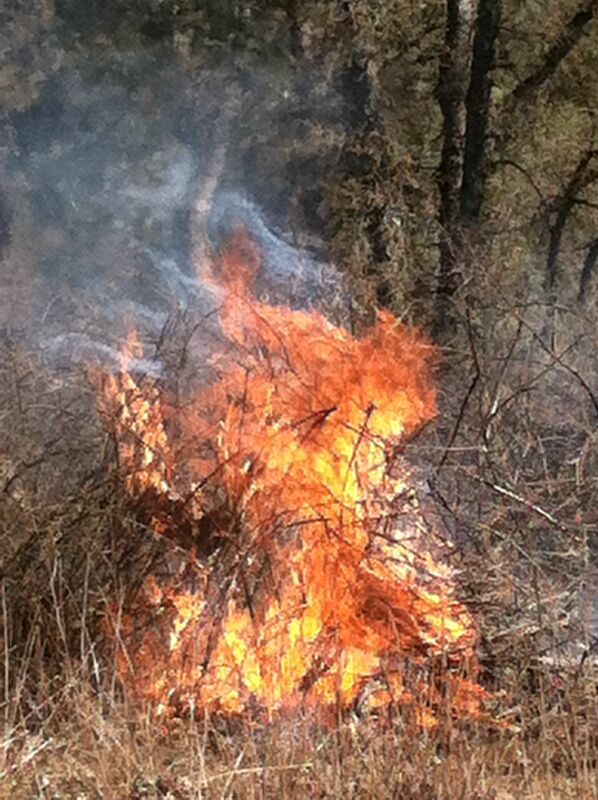 to achieve specific… resource objectives” (Southern Sierra Nevada Prescribed Fire Council). Cultural fire is not exclusively Indigenous (farmers and ranchers use cultural fire) but Indigenous people have employed cultural fires since time immemorial to sustain ecosystems and their interconnected plant and animal communities, including especially the cultural assets (food and materials as well as aesthetic and spiritual resources) within those systems and communities. clear shrubs from an area to make it more livable, facilitate travel, make the movements of people and animals more visible, and make resources more accessible. enhance desirable qualities of plant materials used for basketry, clothing, cordage, housing, musical instruments, tools, and weapons. increase the diversity and production of bulbs, tubers, fruits, and seeds (such as acorns), thus sustaining the food web for all species and increasing animal diversity. maintain firebreaks, reduce fuel levels, and reduce the extent of intense, severe wildfires. reduce insect pests and plant parasites. sustain meadows, water storage, surface water, spring flow, and stream flow. Thus, a fire regime of repeated, expertly timed cultural burns of varying extent and intensity – conducted by knowledgeable practitioners – can support suites of resources that are discrete and identifiable, yet inextricable from the whole ecological-epistemological-social system. Sustainment of the benefits of cultural burns requires the sustainment of Indigenous people and their jurisdiction over their homelands.